When planning ways to increase the value of your home, new steel garage doors are probably not the first thing that comes to mind. In fact, a new garage door can go a long way towards improving the look at security of your house and is a great way to make it more competitive when the time comes to sell. A Fort Worth garage repair company like Action Garage Door can help you pick the right door for your needs. Whether you decide to purchase heavy-duty steel garage doors, or a more lightweight model made of laminate paneling, here are some factors you should consider. Choose a garage door that fits with the overall look of your house. For example, a more traditional-looking home calls for a traditional garage door, while a contemporary house needs a more modern door. The ultimate goal should be finding a garage door that complements your home and does not stand out as an addition. 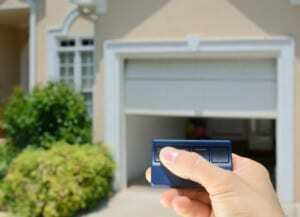 Garage doors can be an easy way for thieves to enter your home, so always take safety into account. Steel garage doors are more resistant to being broken down than other materials. You may also want to consider installing a keypad lock for extra protection. Quality insulation prevents the air from inside your home from leaking out through the garage door, keeping the area at the optimal temperature and lowering your overall heating and cooling bill. Call Action Garage Door today at 972-254-4040 to begin installation of your new garage door.